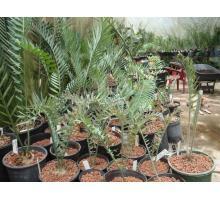 A highly ornamental blue leaved South African cycad that is highly prized by plant lovers and collectors. Comes in a normal & a dwarf form. Cones are blue/grey to brown. 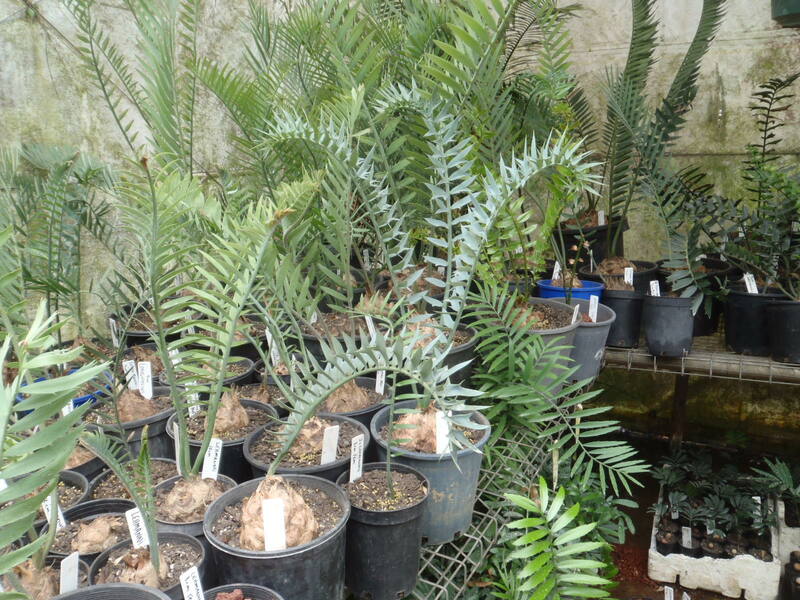 Possibly the most popular blue leaved cycad of all. Great in a pot or rockery, needs full sun & hot dry conditions, handles cold well. 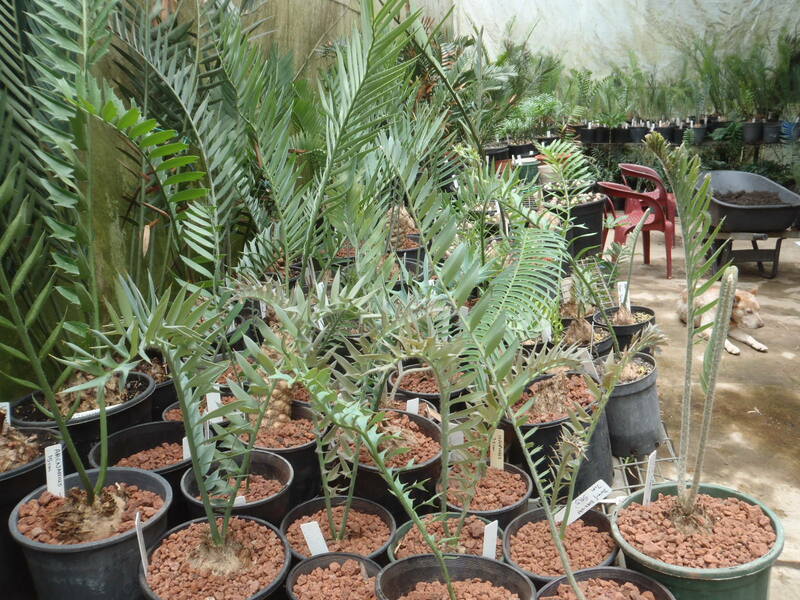 Available only as established offsets- both forms available- see 'larger cycads' page. 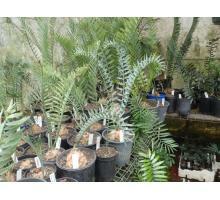 Seedlings $75 available Dec 2014.